Any probation matter can have serious consequences. No one should ever take a probation violation lightly. Whether you are on probation for a misdemeanor or a felony, any kind of violation can greatly impact your life. It can directly affect your criminal record, your employment, and even your freedom. While on probation, there are certain regulations and rules to be followed. Those rules can vary depending on the charge you were convicted of or the circumstances of your case. You may have been ordered to attend drug, alcohol, or anger management counseling. You may also have to take a drug or alcohol test at certain intervals. It may also be ordered that you have an ignition interlock device or report to a probation officer at certain times. Any violation of these conditions, or other conditions you agreed to, will result in a hearing. It is never advised that you go into a probation hearing on your own. There is simply too much at stake and you need someone with experience and knowledge of the law to guide you through the process. A violation hearing can result in a judge ordering you to serve the maximum penalty for the crime of which you were convicted. This can mean serious jail time. Having a legal advocate who will take the time to understand your case is vital. Stephen M. Forlizzi is a criminal defense lawyer in MA and has helped countless clients for over 30 years. Our experience and dedication to helping those who are facing a probation violation situation will help you get the most favorable outcome possible. There may be extenuating circumstances and there are also times when someone is unaware that they even committed a probation violation. 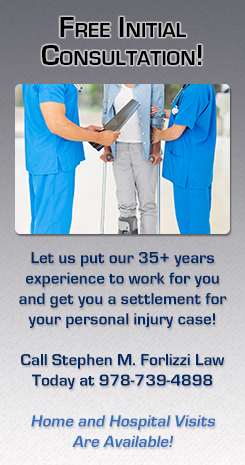 Our firm will give you a free consultation and help prepare you for what may happen. With honest advice and knowledgeable guidance, the Law Office of Stephen M. Forlizzi can help you through what may be a difficult time. For a Free Consultation on your probation case call Attorney Forlizzi at 978-739-4898.